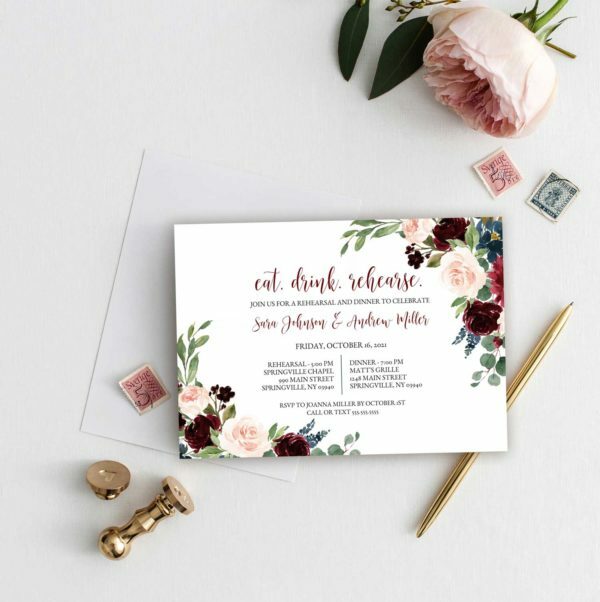 A frame of burgundy and blush watercolor flowers. 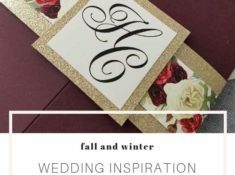 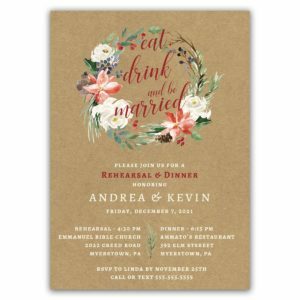 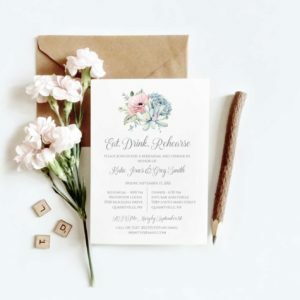 An elegant spray of watercolor flowers fall from the corners of this lovely rehearsal dinner invitation. 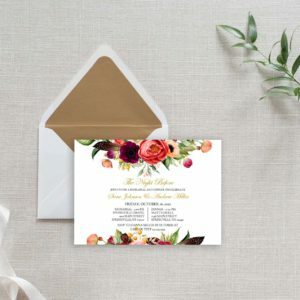 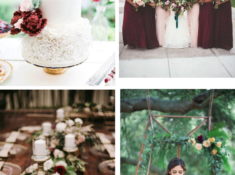 Whether you wish to include both the rehearsal and dinner or just the dinner, we will work with you to customize this design so that it’s perfect for your event.